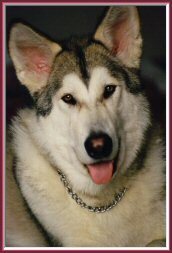 The name Lupus is Latin for “wolf,” but the wolf appellation apparently did not become common until the Renaissance. The ancient Greeks and Romans figured the grouping as a wild animal of no specific type. Representations among the Mediterranean civilizations that recognized this grouping included a lioness, a leopard, a male horse, and a howling dog. Lupus is often linked to the Centaur rearing above it, though the symbolism may be forced. As examples, the Centaur is sometimes described as reaching out to grasp Lupus and carry it to the Altar (Ara), a nearby constellation, or as impaling Lupus on a pole. For a long time, however, the stars were not clearly separated from those in Centaurus. Eratosthenes, a Greek astronomer of the 3rd century BC, described these stars as a wine skin from which the Centaur was about to drink. It fell to Hipparchus of Bithnya, a Greek astronomer of the 2nd century BC, to separate the stars from Centaurus and give the constellation a name, Therion (Wild Animal). The great astronomer Ptolemy of Alexandria cataloged the constellation as Therion in the 2nd century AD, but alternative names continued to appear on sky maps for centuries. Lupus forms part of the disklike zone of young, bright stars called Gould’s Belt that slices through the Milky Way galaxy at an angle of about 18 degrees. Sprinkled around the edge of Gould’s Belt are star nurseries, all of about the same age. The Dutch astronomer Adriaan Blaauw has proposed that all of these star nurseries originated at the same time, about 30 million years ago, when compression of dust and gas squeezed a large molecular cloud and caused a burst of star formation. The very active Orion star nursery was one result; the association of young, hot stars called the Upper Centaurus-Lupus Stellar Association was another. Although stars in constellations generally move in unrelated (to each other) fashion, most of the stars in this association are moving together at the same speed, 16 miles (25 kilometers) per second, in the direction of Beta Columbae. The Upper Centaurus–Lupus Association lies in the part of Gould’s Belt that extends above the plane of the Milky Way, so that a portion of the Milky Way runs through Lupus. This location brings within the boundaries of the constellation some attractive star fields and their associated nebulae (both bright and dark), galaxies, and clusters. The seventh-magnitude globular cluster NGC 5986 can be seen with binoculars toward the northern end of the constellation. This cluster is not extremely tight, and some individual stars can be resolved with an amateur-sized telescope. A few degrees north of NGC 5986 is a dark band in the sky known as the dark nebula B 228. A dark nebula, or absorption nebula, is a cloud of gas and dust that blocks light coming from behind. As a result of absorption of their emitted light, the few stars visible in the vicinity of B 228 appear unusually red. A few open clusters, including the sixth-magnitude NGC 5822, lie near the southern border of the constellation. On the western border, about 5 degrees northwest of Alpha Lupi, is the Wolf-Rayet ring-type planetary nebula IC 4406, visible with a small telescope. The central stars of the Wolf-Rayet nebulae are thought to be the hottest stars in the universe. The figured part of the constellation, the stars that make up the wolf shape, contains several bright single, double, and multiple stars–none of which have a name. 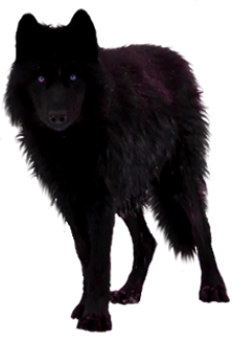 Alpha, Beta, Gamma, Delta, Epsilon, and Zeta Lupi form a rough oblong representing the body and front legs of the animal. Alpha Lupi, which might be thought of as the eye, is a magnitude 2.3 blue giant about 620 light-years distant from Earth. About 6 degrees northeast, marking the end of the ruff, is Beta Lupi, a magnitude 2.7 blue-white giant about 680 light-years distant. Gamma Lupi, where the tail and hind legs emerge from the animal’s rump, is a magnitude 2.8 blue-white binary star whose close companion cannot be separated with a small telescope. Northeast, along the more northerly of the hind legs, is a wide multiple system, the Phi series, consisting of a magnitude 3.5 yellow-orange giant star with two faint companions. The other hind leg is marked by the double star Eta Lupi, whose components are a magnitude 3.4 blue-white primary and a fainter, whitish yellow companion. Back in the oblong representing the animal’s body are the multiple star systems Pi and Mu Lupi, and the double star Kappa Lupi, whose magnitude 3.9 and 5.7 blue-white components can be separated with a small telescope. 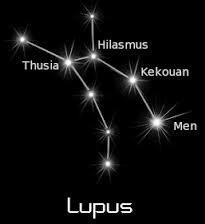 In the Southern Hemisphere Lupus is best viewed between March and September. It reaches its highest point in the sky at 10:00 PM on June 1, when, for an observer in the mid-southern latitudes, it appears about two thirds of the way up the sky. Lupus lies northeast of the very bright star Alpha Centauri and follows Centaurus across the sky. About half of Lupus is visible from the mid-northern latitudes in late spring and early summer. For a northern observer, Lupus lies southwest of the red supergiant Antares and precedes Scorpius across the sky. Compton’s Encyclopedia Online v2.0 © 1997 The Learning Company, Inc.